On June 14, 2013, a Dona Ana County (New Mexico) jury convicted an individual on 21 counts of a 22 count indictment, including felony counts of Dog Fighting, Conspiracy to commit Dog Fighting, and eight counts Extreme Animal Cruelty. The defendant was also convicted of ten counts of misdemeanor Animal Cruelty and one count of violating the county ordinance for possessing over six animals. This landmark case marks the first time the State of New Mexico has recognized someone as an expert in veterinary forensic sciences. That expert was Dr. Patricia Norris, who served as Sheriff’s Veterinarian for the Dona Ana County sheriff’s office in Las Cruces. In spring 2013 Dr. Norris earned a Veterinary Forensic Sciences Graduate Certificate from the University of Florida’s College of Veterinary Medicine and the Maples Center for Forensic Medicine, in partnership with the American Society for the Prevention of Cruelty to Animals. The court permitted Dr. Norris to testify about the pattern of injuries of the dogs, the housing of the dogs, and medications found in the house that were consistent with dog fighting. Lacking such expertise, the defense’s veterinarian was deemed only to be an expert in veterinary medicine, not veterinary forensic sciences. Accordingly, the court did not allow her to testify about any issues related to dog fighting. Dr. Norris’s involvement in the case started in 2008 with the seizure of 38 dogs. Some of the dogs were suffering from severe illness and many of them had scars consistent with staged dog fighting. 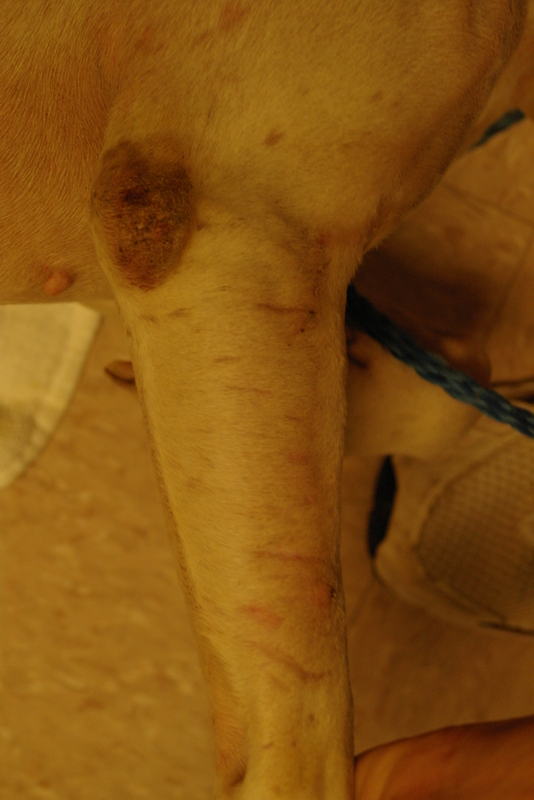 There was also evidence of recent dog fighting, including fresh injuries to the dogs. After the animals were seized, Dr. Norris completed an assessment of each dog, which included a thorough documentation of their body condition, illnesses, and injuries (including scars). She also documented the evidence by photographing every animal she examined. “The evidence in the case was overwhelming,” said Chief Deputy District Attorney RoxeAnne B. Esquibel, who prosecuted the case. During the trial the jury was presented with hundreds of photographs showing the condition of the dogs on the date they were seized and several days later when they were evaluated by Dr. Norris. They also viewed numerous records reflecting the very poor condition of the animals. The faculty and staff of the Veterinary Forensic Sciences Graduate Certificate commend Dr. Norris for being a pioneer in her state and in this field.